The first three consecutive years of employment of a licensed employee (other than of an administrator) in the Urbandale Community School District shall be a probationary period, unless the employee has already successfully completed the probationary period as a licensed employee in another Iowa school district. 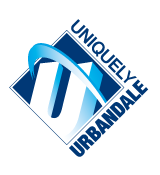 Nonadministrative licensed employees who have previously successfully completed a probationary period in another Iowa school district will serve a one year probationary period in the Urbandale Community School District. For purposes of this policy, a licensed employee shall be deemed to have met the requirements for successfully completing a probationary period in another Iowa school district if the licensed employee was employed in the prior district for the requisite number of years, received a satisfactory or better evaluation for the most recent formal evaluation, and the licensed employee has not engaged in conduct which would disqualify the licensed employee from receiving a continuing contract from the prior district. The first two years of employment of an administrator in the Urbandale Community School District shall be a probationary period. Only the Board, in its discretion, may waive the probationary period for any licensed employee. The Board may extend the probationary period for one additional year with the consent of the licensed employee. The Board will make the decision to extend or waive a licensed employee’s probationary status based upon the Superintendent’s recommendation. Licensed employees may also serve a probationary period based upon their performance. Such probationary period shall be determined on a case-by-case basis in light of the circumstances surrounding the employee’s performance as documented.